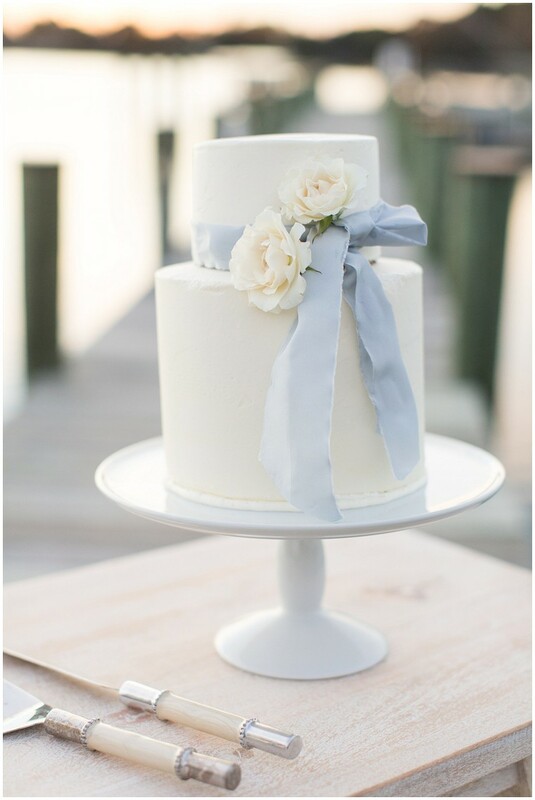 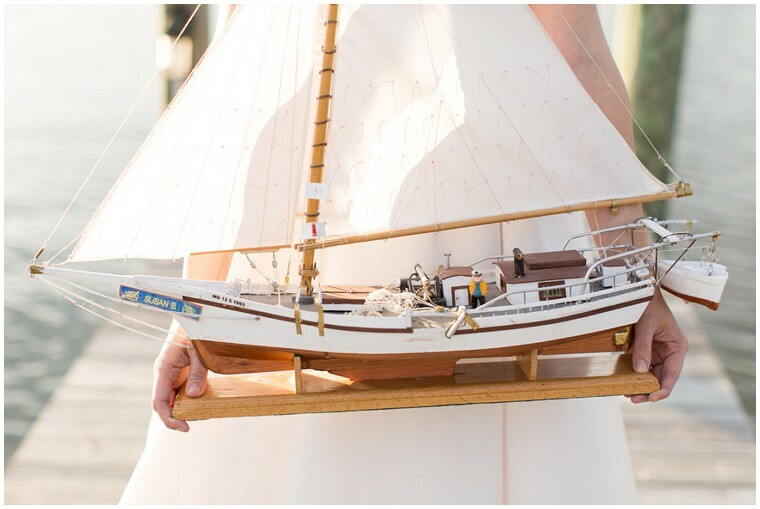 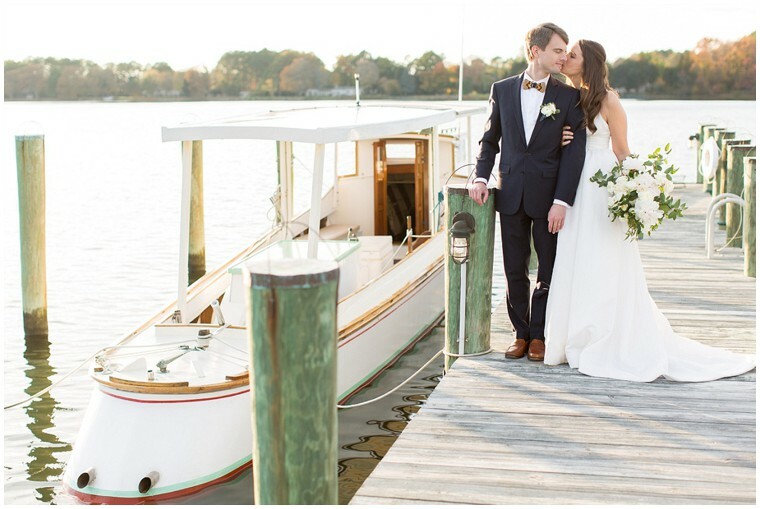 From Cristina of Cristina Calvert Signature: Our inspiration for this elegant shoot came from a newly restored dovetail skipjack, the Dorothy Lee. 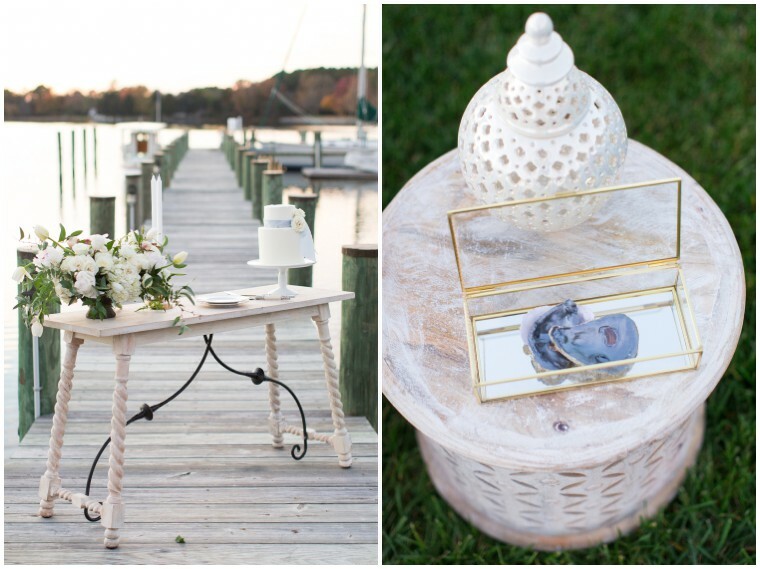 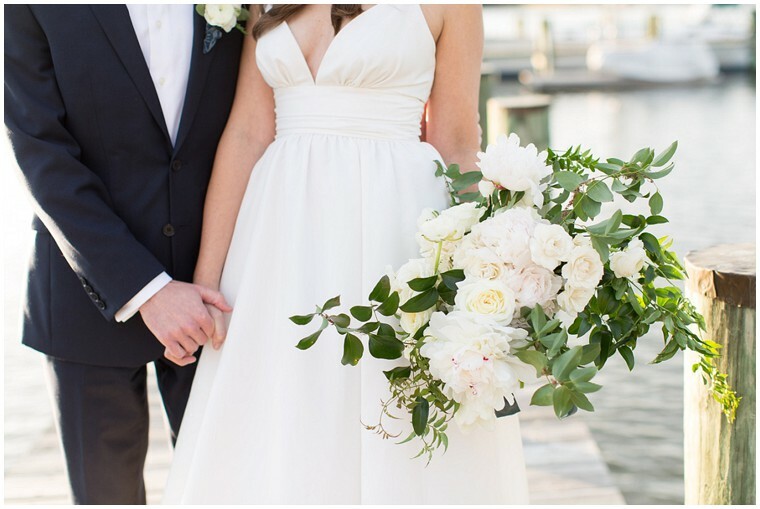 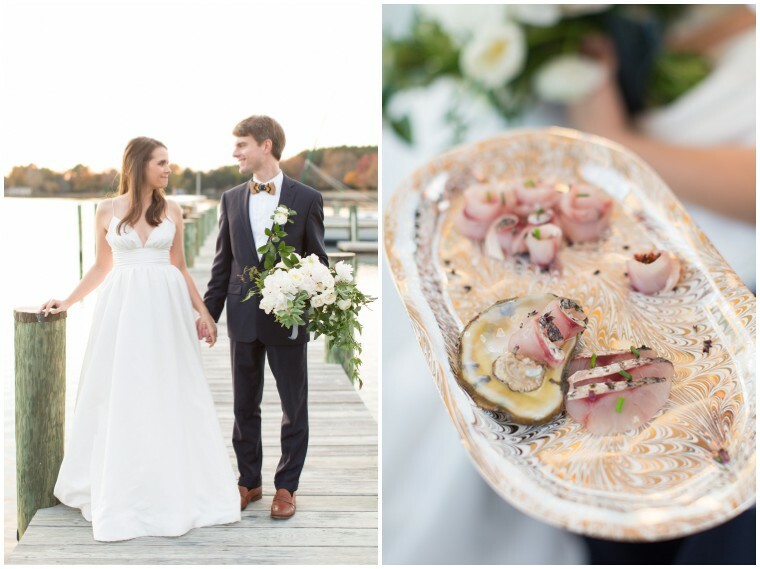 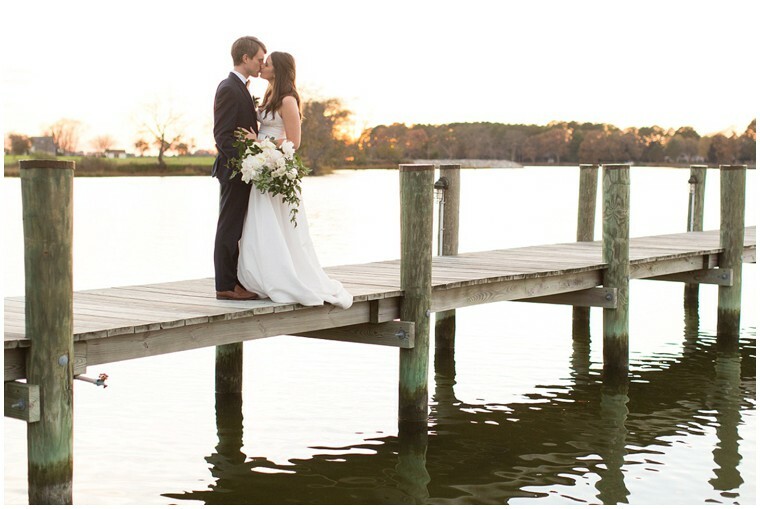 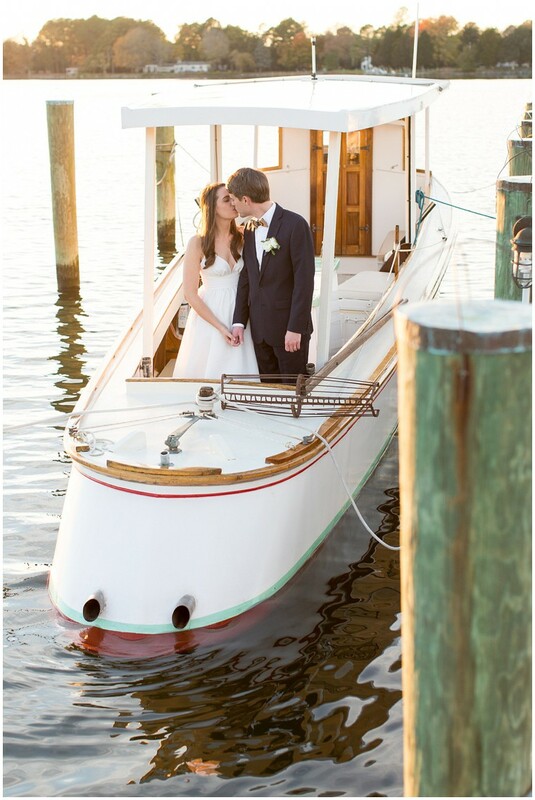 The beautiful lines, wood trim, and the way it glides along the water allowed us to base this shoot in a classic waterfront setting on the Eastern Shore of Maryland. 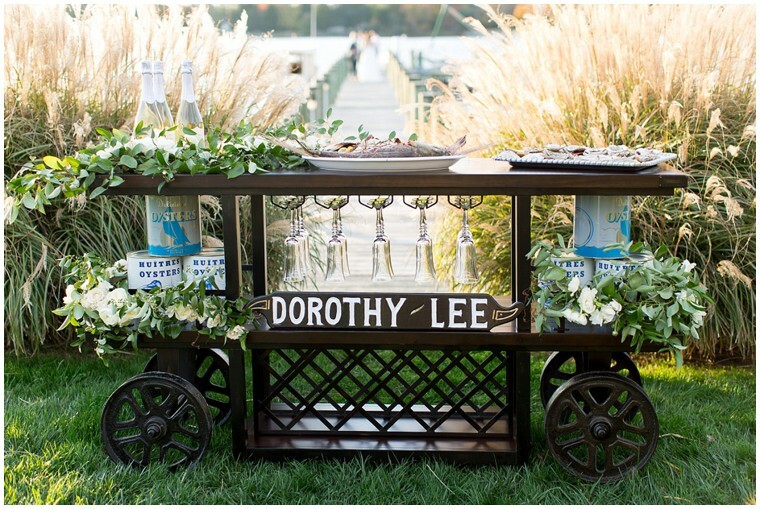 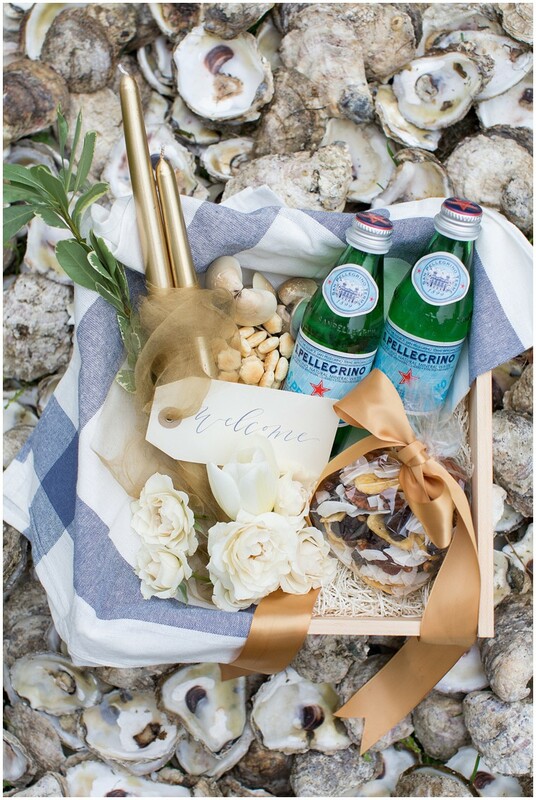 The neutral color palette was infused with pops of blue and camel brown to accent the water and boat lines. 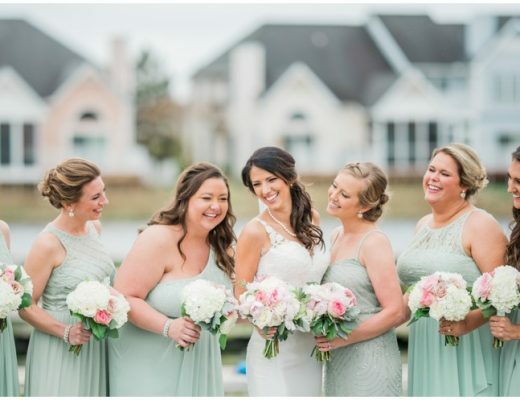 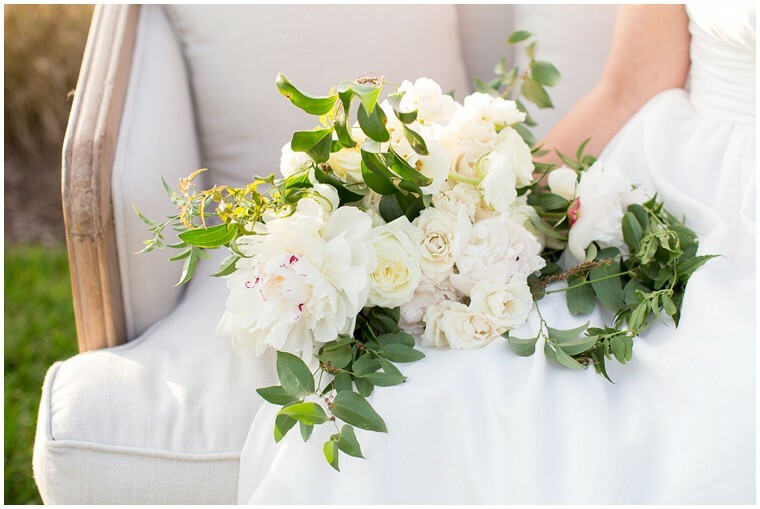 This color palette allowed us to create a beautiful feminine and southern feeling while keeping masculine undertones present with the rich colors. 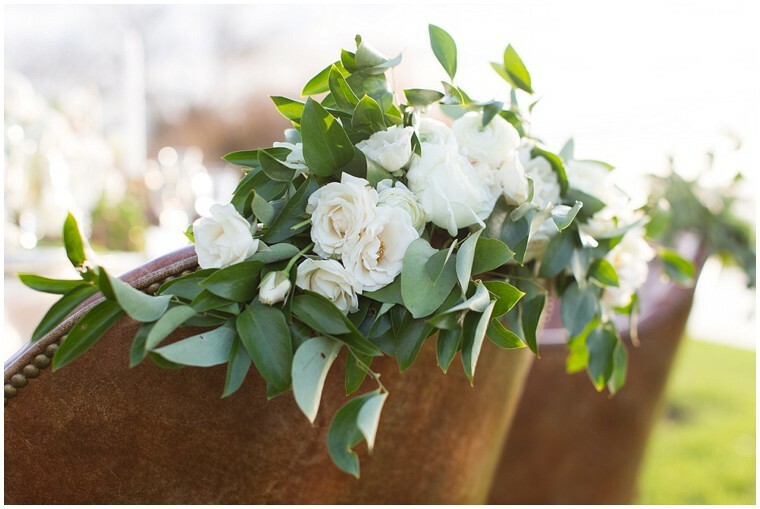 The tablescape was set as an intimate table for two using gorgeous camel colored leather chairs adorned with a floral garland of garden roses and peonies. 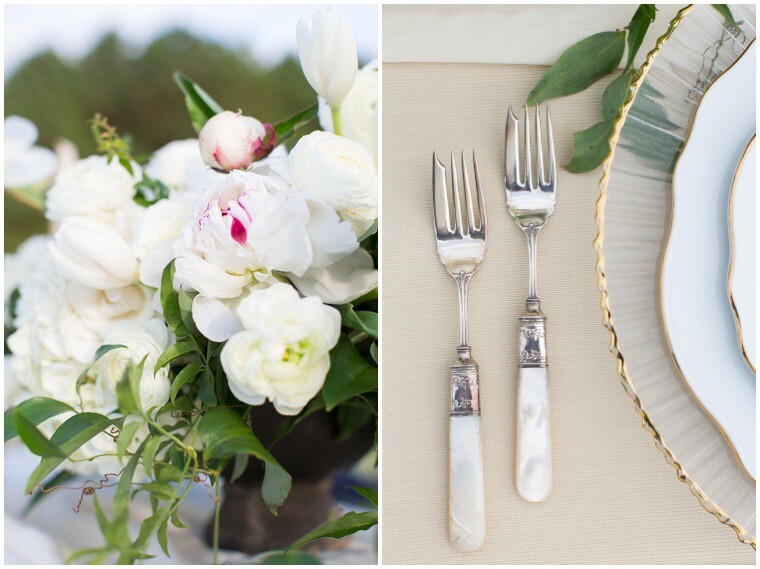 The vintage mother-of-pearl flatware helped keep the coastal feel and the varied brass candlesticks created a soft glow on the table. 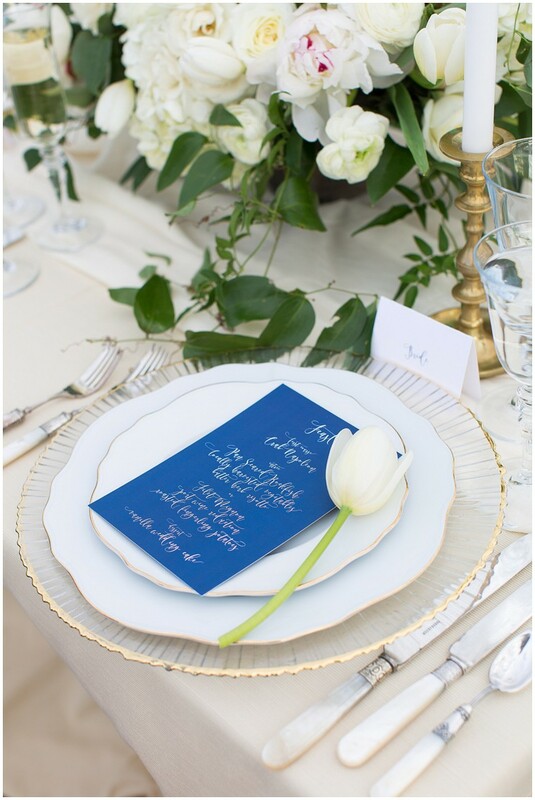 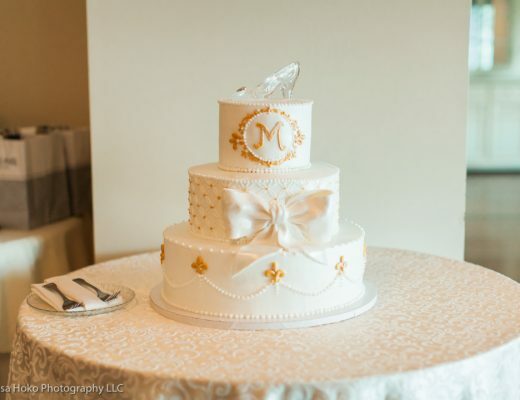 Whimsical stationary and airy, monogrammed dinner napkins completed the look. 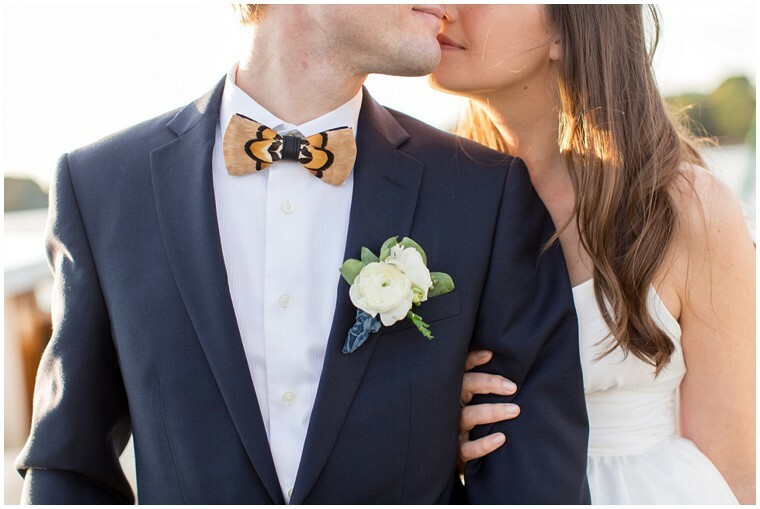 The models wore complimentary pieces–the bride in a Kate McDonald wedding dress and the groom in a custom suit & a bow tie from Brackish Bow Ties. 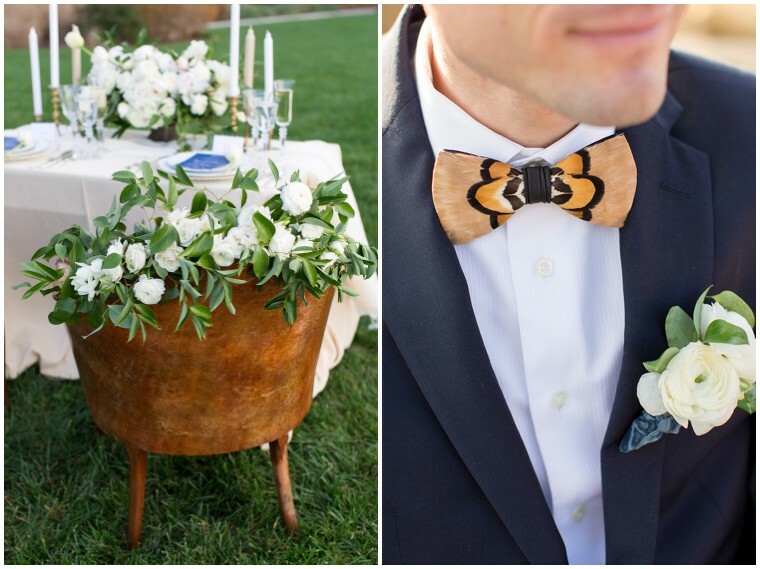 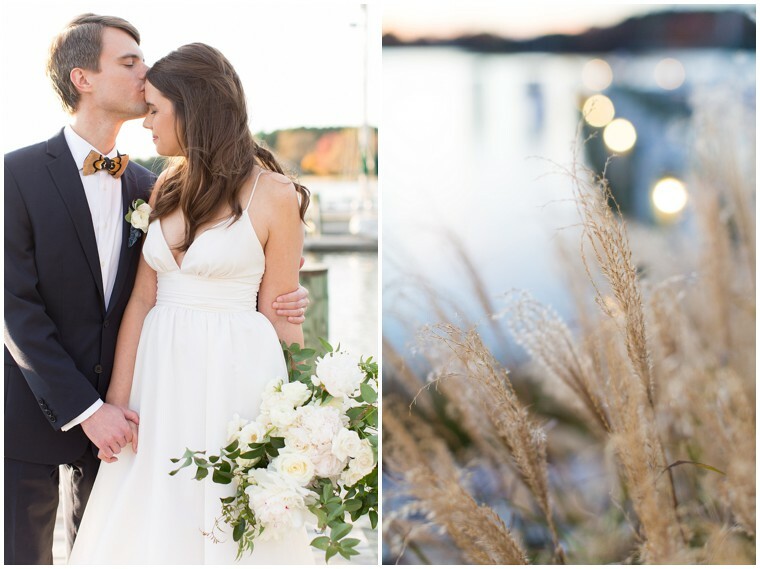 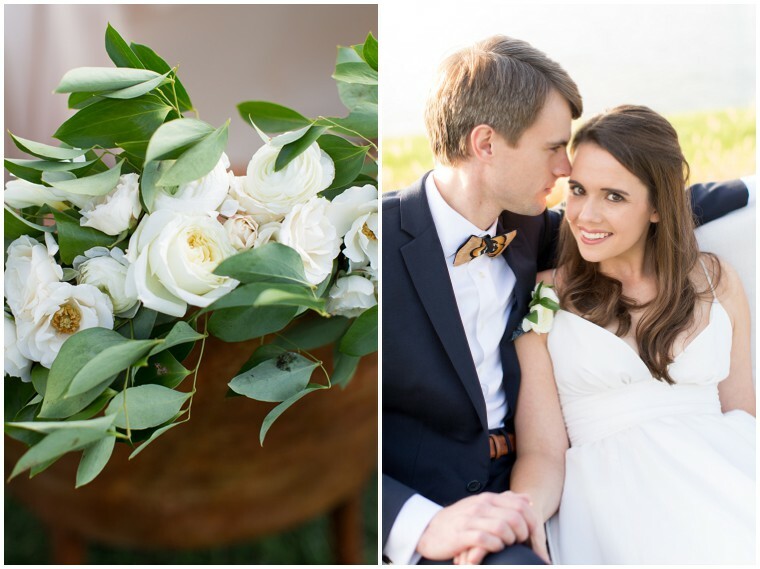 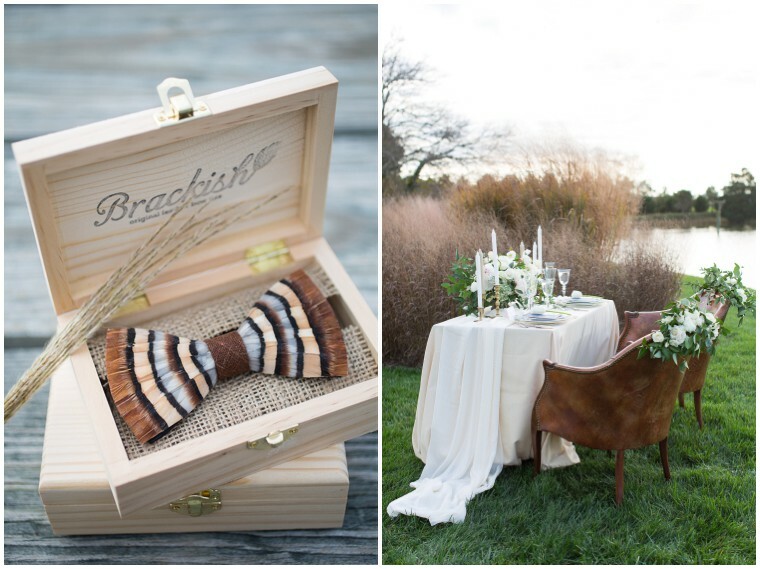 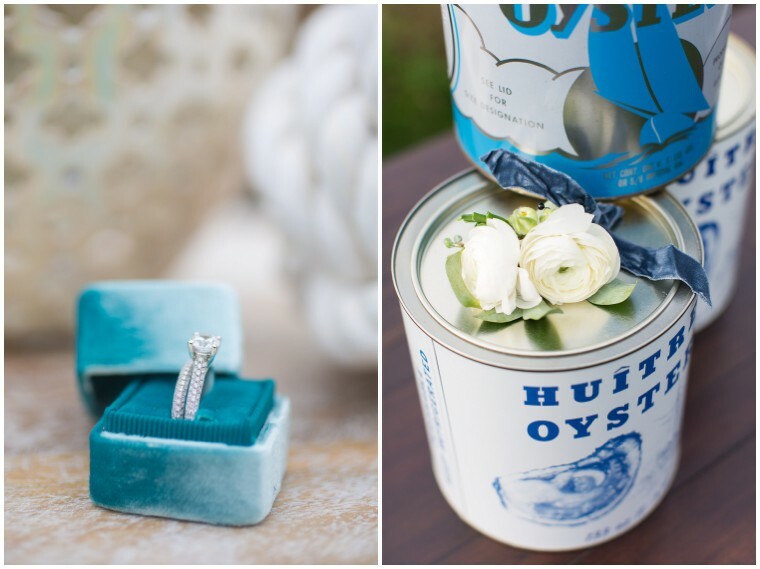 The bowtie paired perfectly with the colors and textures of the setting! 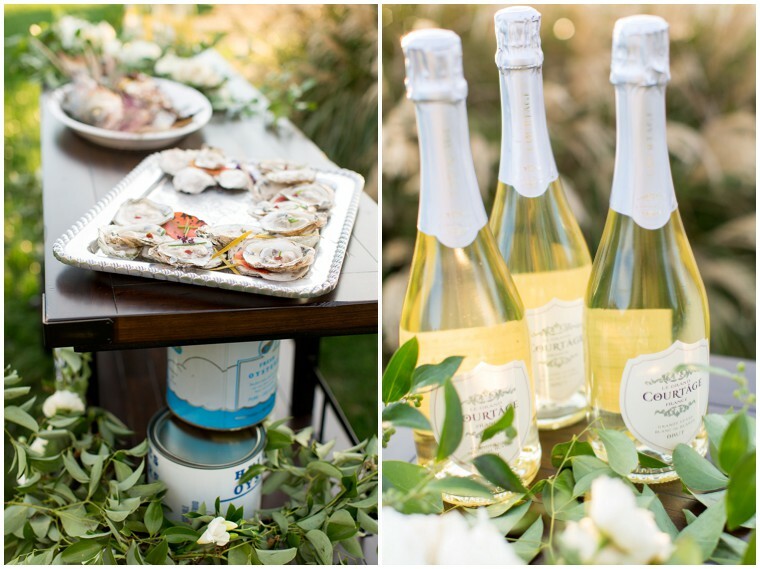 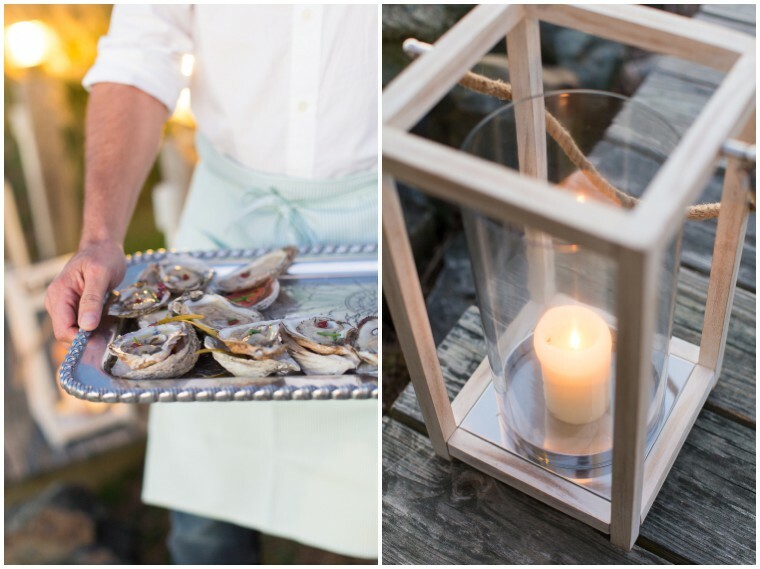 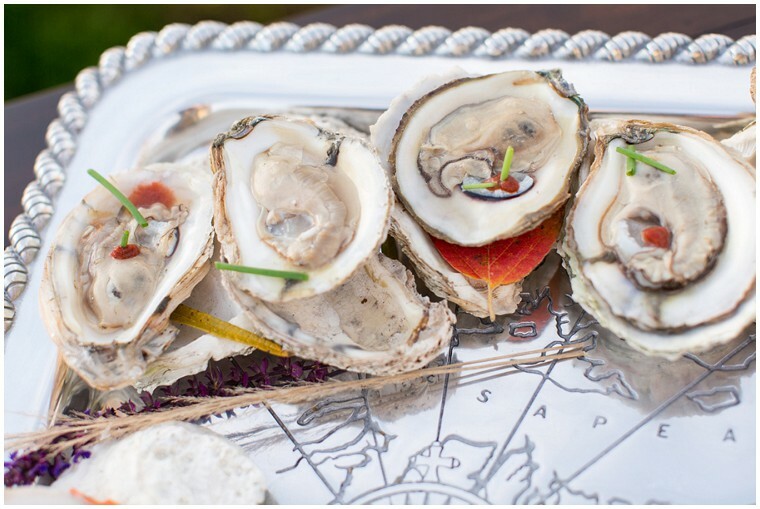 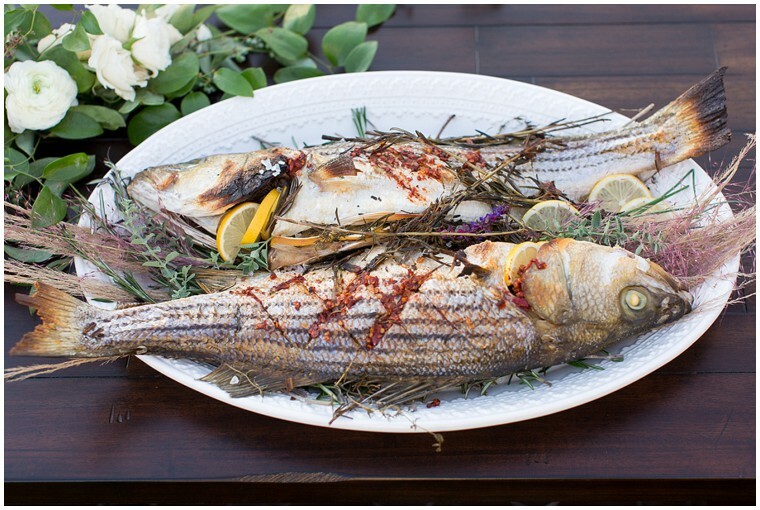 Catering by Buckeye Mountain Farms was presented using local ingredients and served on a recreated oyster bar. 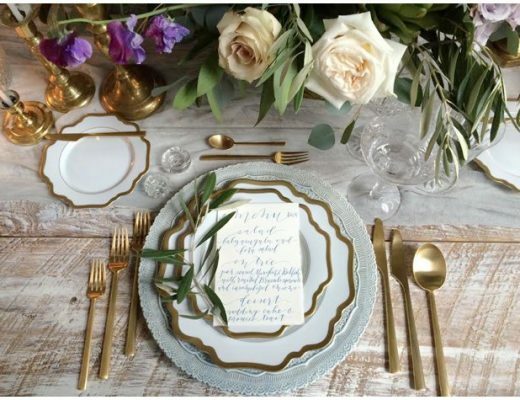 Rich colors from the foods were used to plate each dish to perfectly match the setting.